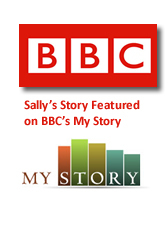 Sally Livingstone has got a passion for God that she refuses to lie dormant in a vacuum of personal spiritual blessing. Her heart for the Lord is continually chanelled into care and compassion for others. In many cases this is articulated in her desire to disciple those who are already Christians but it is also revealed in her overwhelming desire to see men and women won for Christ. She is an evangelist in word and deed and I recommend her to you. Sally Livingstone is a remarkable women, who has a heart for the lost and needy around the world. I've been privileged to work along side her, and to be a participant in the tremendous work that she does at the centre and at the soup kitchen. Sally has adapted the call of an evangelist, she has such an anointing on the streets which in itself is clearly a gift from God. Sally moves in such grace an empowerment, in the book of (Luke 4 v 18) Jesus say's "the spirit of the Lord is upon me because he has anointed me to preach to the lost. Sally has built a testimony through her Centre, and on the streets of Birmingham which has truly earned the respectability factor of an evangelist. The soup kitchen on Thursdays is revival in itself, there is power, grace and such glory that no unbeliever can comprehend. Sally and I and the team from Betel of Briton, have a great understanding of what God is doing on the streets. It is the love of God that compels me that apostle Paul spoke about addressing the church of Corinth that drives Sally to what she does best. If we live in the spirit, let us also walk in the spirit in which God has predestined us, and commissioned us for the work. Sally has heard the war cry of the lost to go to the high ways and byways giving God's glory for what he has purposed within her heart to evangelise to the hurting people of the world. Now to him who is able to do exceedingly abundantly above all that we ask, according to the power that works in us, may the grace of God continue effectively in you and your ministry, equipping you for the Lords work. God bless Sally and your work. God introduced me to Sally. It was through one of her early clients, Harry. At the time I was Doctor to a homeless hospital. On the day in question, Harry, charming and shy as ever, was also looking better than normal and stable on his methadone - for him a big achievement. I wanted to know why he had made so much progress and he told me about the love and help he had received when taken in by the Livingstone Family. Now I know Sally better. She has developed a complete ministry with improved accommodation and a team sharing in the task of bringing God’s love and healing to broken people. She is feisty, passionate and through the power of the Holy spirit, amazingly effective. Whether she is leading high volume, high passion worship in the open air in the centre of Birmingham, or a twelve step group or even a one to one interaction, she allows herself to be used fully by the Holy Spirit to do God’s will. We have supported Sally and Livingstone House for 6 or 7 years. When we first met Sally, they had only just taken over the house. The house was a wreck and they had no money. But Sally's vision was strong, coming out of a life saved from disaster by Jesus. We have been so blessed by our support for Sally over those years. Her ministry really does save lives, and really does inspire other people. Some of our church people are from a more traditional Christian background, but Sally has blended in brilliantly and worked with them. God has given her a love that knows no boundaries. I continue to give her my fullest support and love. We have known Sally Livingstone for over eight years and can readily recall our first experience of meeting with her which took place when she visited our evening service with a group of young men and women. It was clear after hearing her speak that her stature was in no way a reflection of the anointing and power of God working in her life. I can recollect hearing her testimony for the first time which had a dynamic and forceful impact on those listening. She shared her lifes journey which is included her experiences of neglect as a child, her life on the streets, giving birth to a child born addicted to illicit drugs concluding with her discovery of the Lord Jesus Christ as her saviour. She has raised funds in many ways for this project, but has refused to compromise her own strong beliefs in God. She labours today to deliver a high standard of care through detoxification and rehabilitation programmes and has a tremendous success rate. I was privileged to attend a prayer meeting where she led those present from prayer to praise to worship and confessions of God's goodness in their lives. She did all of this through no other means but letting them know over and over the love of Jesus Christ for them and His desire to se them saved as christians and from their previous lifestyle. She is truly a minister of the highest order. She has never turned away anyone in need of love and attention. She justly deserves the highest honour that can be accorded and with greater support and resources can go on to fully achieve all that God has purposed for her to do.